Pigs in blankets, honey glazed ham, roast pork, cocktail sausage rolls – all Christmas favourites, but how many of us spare a thought for the pigs during the festive season? Turkey has always been a staple of Christmas dinner, but pork products such as ham, sausage, bacon and roasting joints are now almost as popular. Last December, the UK spending on pork roasting joints rose by 25% in comparison to the previous year, and we spent £843m on pork in 2009. However, many of the 160 million pigs raised annually in Europe for meat are kept in conditions that don’t meet some of their most basic needs. The decisions that we make in the supermarket this Christmas can have a huge impact on the lives of pigs, so The RSPCA is asking shoppers to ‘Think Pig’ by looking for Freedom Food, free range, outdoor reared, outdoor bred or organic labels and choosing higher welfare sausages, bacon, ham and pork. Buying higher welfare doesn’t mean having to compromise on cost either - try the new RSPCA Freedom Food Christmas pork recipes, with creative ideas for using leftovers, to get more value from your meat. 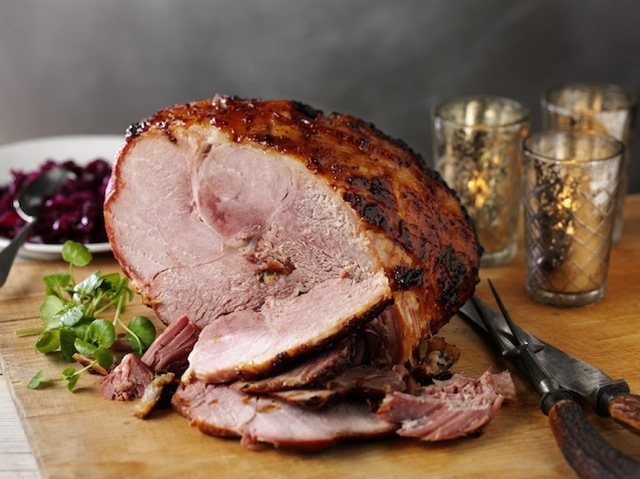 RSPCA Freedom Food has also devised the ultimate gammon joint recipe with a timetable of tips and reminders for a higher welfare Christmas. You can keep up to date with the Think Pig campaign, and try out the recipes, on the 'Notes' section of the RSPCA Think Pig Facebook Page. Source of figures: Farmers Weekly Interactive.